I made mine from paper ...manilla folders. I used my favorite wendy stamps :) which I will list and the end of my post. I used two distress inks worn lipstick and squeezed lemonaide and one stain peacock feathers. 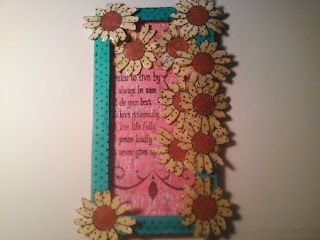 can you tell I love the flower stamps..yes..sorry for the obvious I do. I did cheat I used sticky squares to layer the sides and glossy accents to hold the sides and flowers and on top of the flowers. as many of you know i color..love to color so i used my prisma pencil pumpkin orange in center of flower. from stamp set lcs016 "artfully said"
The wonderful dots come from lcs011 "all about art"
The border stamp at the bottom and the awesome flower with dots :) come from LCS005 "Art by the Number"
well thanks for peeking in hope you leave a comment. I love all the flowers, Susan! Nicely done with the manilla folders, love how creative that is! The colors are wonderful too! Thanks so much for joining the MAC! Oh this is fabulous and I love all those flowers. 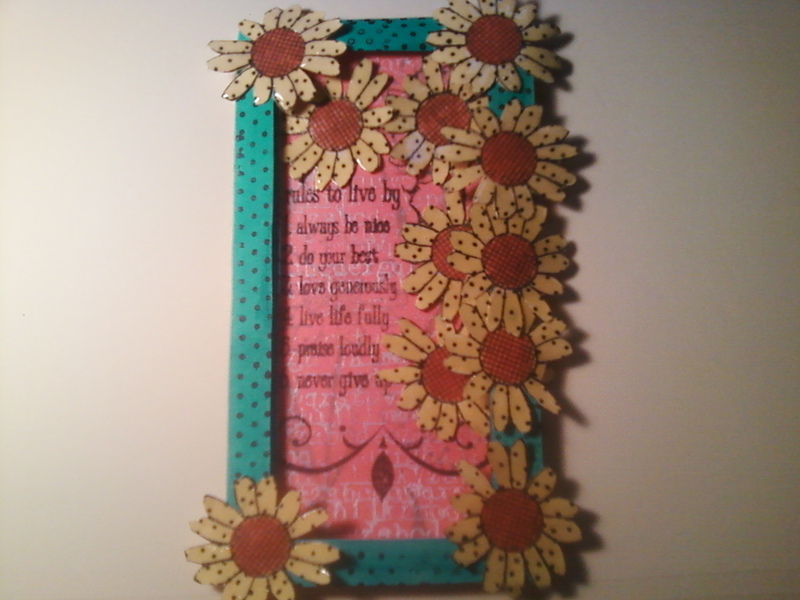 Love your shadowbox and all those flowers! Great new blog too...very easy to navigate!